A wonderful discussion with artist and sculptor extraordinaire Tyson Snow about his background and the very unique set of circumstances - including recently returning from The Celebration of Fine Art in Scottsdale - that had led him to be one of the most talented and educated sculptors of our day. From enormous monuments to beautiful desktop works, Tyson’s work in bronze is on view throughout the country, specifically in the West. 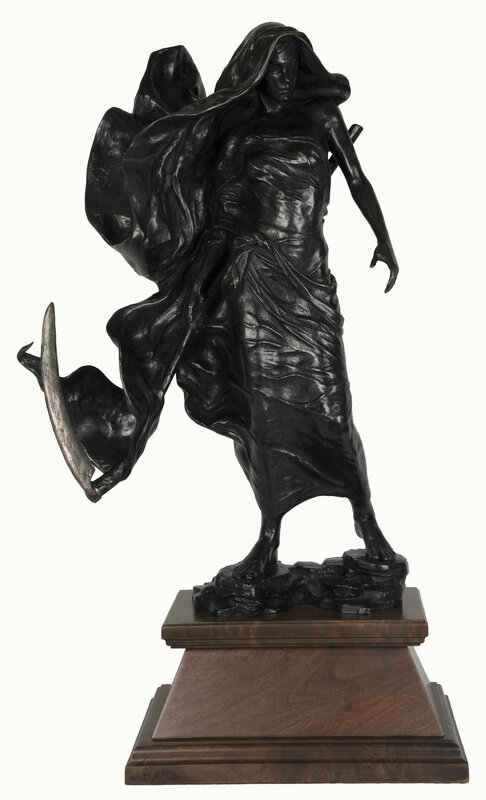 The Reaper by Tyson Snow / bronze / 28 1/2 × 15 × 12 (in) / Date of Creation: 2014. The Reaper won first place in the 2015 International ARC Salon competition at the European Museum of Modern Art in Barcelona, Spain. Newer PostUPDATE: A New Podcast!